Make your trip truly your own. No request is too big or too small. Our expert trip designers will make it happen, gathering your wishes together and creating the trip of your dreams. We'll provide behind-the-scenes support so you're free to savor the experience. Tell us what your dream trip would be and we'll make it happen! 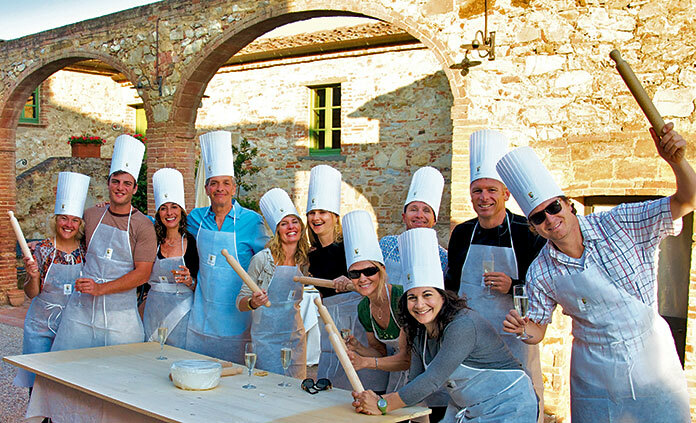 Whether you're looking for a honeymoon hiking trip in Sicily, a 30-person family reunion in Vietnam or a 100-person corporate trip in the Wine Country, we can do it all. The sky is the limit! We have a dedicated Custom Trip Consultant Staff who will work closely with you to bring your dreams to reality. Call us at 800-462-2848 to speak with your Custom Trip Consultant or click on the button below.